The Private Label Manufacturers Association is the only trade association devoted exclusively to the private label industry. Founded in 1979, PLMA now represents more than 3,200 member companies that make food, snacks, beverages, health and beauty, household, kitchen and general merchandise. Private label products are sold from coast-to-coast, yet carry hundreds of different brands. Sales exceed $90 billion, yet most manufacturers are not known to consumers. The Natural Products Association or NPA is the largest and oldest nonprofit organization representing the interests of manufacturers and retailers of the natural products industry, which includes organic and health foods, dietary supplements, natural ingredient cosmetics, and other similar products. The Specialty Food Association is an organization of food artisans, importers and entrepreneurs, established in 1952 in New York. This not-for-profit trade association provides industry events and knowledge to 3,000 members worldwide. The National Confectioners Association is the trade organization representing the $35 billion U.S. confections industry. 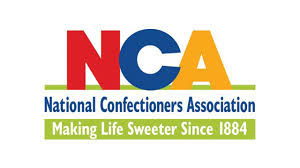 NCA exists to advance, protect and promote the confectionery industry. The Institute of Packaging Professionals is dedicated to creating networking and educational opportunities that help packaging professionals succeed.